CNN has been awarded a Cronkite Award for its shameful town hall event in Parkland days after the tragic shooting at Marjory Stoneman Douglas High School last February. We all knew this event was going to go off the rails. It was held in one of the most Democratic counties in the state of Florida. It was packed with liberals. Sen. Marco Rubio (R-FL) and National Rifle Association national spokesperson Dana Loesch had to have known they were heading into the belly of the beast. What occurred was despicable. Loesch was verbally abused from the stands. The whole event devolved into a North Korean-style kangaroo court, where anti-gun liberals had a national platform to bash the NRA, its members, rural voters, Republicans, and those with whom they disagree. They didn’t push back on Broward County Sheriff Scott Israel and his pervasive missteps in handling this whole situation. From past incidents with the shooter, Nikolas Cruz, to the day of the attack; one of his deputies refused to enter the building and confront Cruz, who ended up killing 17 people that day. In actual fact, this was a complete and total failure of the state, local, and the federal government. The red flags for Cruz were everywhere and the default action from these agencies was to kick the can down the road. The FBI was warned—twice. They didn’t follow through. In 2016, Cruz began cutting himself following breaking up with his girlfriend. There were legitimate grounds for involuntary commitment, which would have shown up on a background check. That would have prevented him from buying the AR-15 rifle that he used in the shooting, but that’s just one case. The shooting was preventable. And this would’ve been revealed if we just took our time to let the facts become known, but the Left and their allies in the media had to rabble, rabble, and rabble some more. I knew what I was walking into: An emotional assembly held days after an insurmountable loss of innocent life, many of them children the same ages as my own. CNN’s event was held on a Wednesday; I was informed that I would be attending on Tuesday. I learned only upon arriving in Florida that I would be on stage with Broward County Sheriff Scott Israel. The producers, a couple of whom I’ve known from other networks, seemed nervous. So did Jake Tapper, who approached me in the greenroom to thank me for participating – but who also seemed sheepish about the format, which unfolded with Scott Israel speaking onstage for about a half-hour before the televised event began. Before the sheriff spoke, I had introduced myself to him and said I was fervently praying for his community. This warning gave me a sinking feeling that CNN was pitting us against each other for a spectacular show and he was perfectly willing to play along. As he warmed up the crowd, the sheriff referred to me as “the NRA lady” while deflecting as much blame onto innocent NRA members as he could to hide his own cowardice and incompetence. 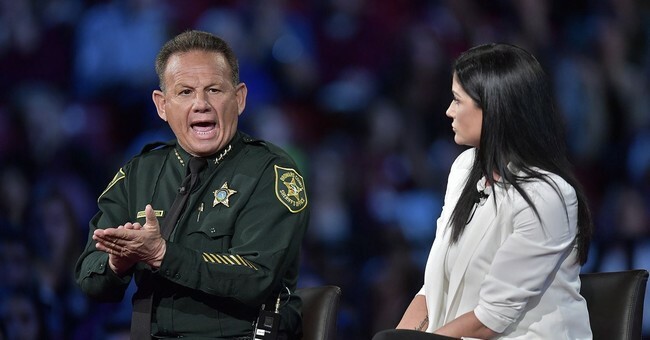 During the broadcast Scott Israel tried to play the hero and CNN encouraged it, even though the network’s own reporting revealed that his department had received 39 calls about the 19-year-old murderer – and did nothing to stop him. Prior to his Feb. 14, 2018 rampage, Nikolas Cruz had beaten his adoptive mother so badly she lost several of her teeth, had taken knives and bullets to school, and had threatened to kill his fellow students (they reported him to school officials on numerous occasions). School counselors wanted him forcibly committed, and he had even called the police on himself (in addition to his own family calling them, begging for his weapons to be removed). Although Sheriff Israel knew all these things prior to the CNN event, it was made clear that the carnage at that school was my responsibility. If CNN was practicing journalism instead of advocacy that day, the sheriff would have been held to account. We’ve learned more since the shooting as well. If I could discover this kind of information, CNN, with its vast editorial resources, easily could have as well. There was no discussion about mental health awareness. No discussion about school security procedures. Instead, the discussion focused entirely on blaming Republican lawmakers, the Second Amendment, the NRA, and law-abiding gun owners. CNN should give its award to the Sun-Sentinel -- and to everyone else, an apology. I do go back and forth on this. I get that Loesch and Rubio ventured down there for a variety of reasons, least of all because there should be a dialogue about what happened and how we can make schools safer. As Loesch noted, there are areas within mental health that both sides can agree, but it’s much better for Democrats, especially those running in an election year, to just ignore facts and bash conservatives. We want to have a discussion; the Left doesn’t. Their end game is the destruction of the Second Amendment and gun ownership. You see this with their fawning over New Zealand’s changes to their gun laws, which they want to export here. And what they want to export here is a gun ban with confiscatory enforcement measures. Is it worth waiting to have a discussion with an opposing force whose playbook you already know? They don’t want to enhance public safety. They want to take Americans’ guns away under the guise of expanded background checks, which cannot work without a gun registry. They’re afraid to work with the NRA and other pro-Second Amendment groups on improving our mental health system because if it works, it kills their narrative to rip the Second Amendment off the pages of the Constitution. Given how far left the Democrats have swung on…everything, maybe we need to realize that there’s no winning in a national discussion about this. We need to dig in, stack sandbags, and protect our rights. And you do that by voting early, often, and for those who support our constitutional rights.